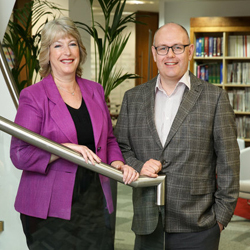 Takeda UK has added new names to its senior team with the appointment of a new medical director and human resources director. Simon Meadowcroft joins as medical director, having held senior positions at Novartis and GSK, working with stakeholders to develop and drive strategy for key assets in their oncology portfolios. Pauline Bromley also takes up the new position of human resources director and has over 15 years of experience working with small and large pharmaceutical organisations. She joins from LEO Pharma where she established professional and commercial HR practices to support a culture encouraging improved performance. Adam Zaeske, managing director of Takeda UK, said: “We are working within a constantly changing healthcare environment and the medical function under the medical director's leadership will be crucial to ensure we align and work in partnership with the NHS as we bring important new medicines to market. “Takeda is committed to advancing healthcare by developing specialist medicines that meet the needs of patients, healthcare professionals and society. Our focus on that goal means we need to ensure that our employees have the right skills and experience and are truly inspired to make a real difference.